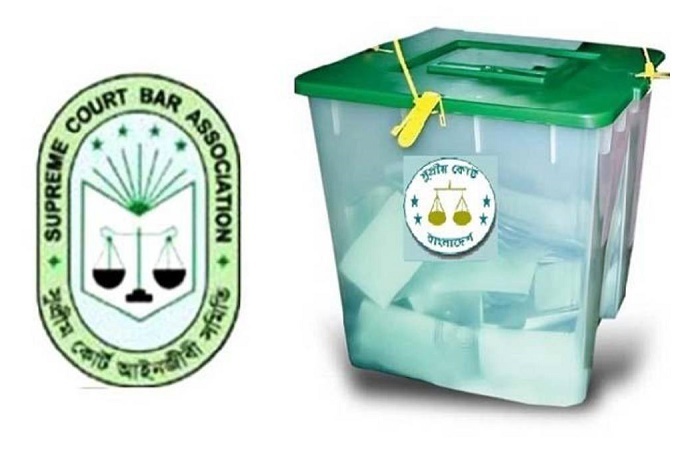 Voters of Supreme Court Bar Association (SCBA) are casting ballots to elect the new executive committee for 2019-20 period, UNB reports. Voting in the two-day polls began at 10am on Wednesday and will continue until 5pm with one-hour break. Balloting will resume from 10am Thursday and continue until 5pm, said Kazi Jaynal Abedin, member of SCBA election conducting committee. SCBA superintendent (supervisor) Nimesh Chandra Das said 7,825 registered voters are expected to exercise their franchise. Former SCBA president Abu Mohammad Aminuddin and former general secretary Md Abdun Nur Dulal are vying for president and secretary posts respectively from Awami League-backed panel. On the other hand, former president Abdul Jamil and secretary AM Mahbub Uddin Khokon are contesting from BNP and Jamaat-e-Islami-backed blue panel. Apart from them, two independent candidates are contesting for the president’s post and another one is vying for a member post.